The key to becoming a better you is already within you. You just have to find it! Personal growth expert Kris King shares 52 personal reflections on finding meaning from life's experiences. 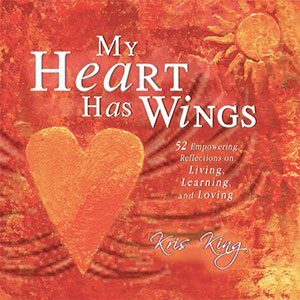 Join Kris King, week by week, on a journey of self-discovery and find your true purpose, passions and desires. This beautiful 336 page hardcover book contains gorgeous full color photos from Kris’s travels, 52 empowering essays and questions for personal reflection after each chapter.